The Feminine Mystique is remembered as the book that “started” the women's movement and 1960s feminism in the United States. But what is the definition of the feminine mystique? What did Betty Friedan describe and analyze in her 1963 bestseller? Even people who have not read The Feminine Mystique can often identify it as a book that drew attention to the massive unhappiness of women trying to fit a media-idealized “happy suburban housewife” image. The book examined the role of women’s magazines, Freudian psychology and educational institutions in limiting women’s life options. 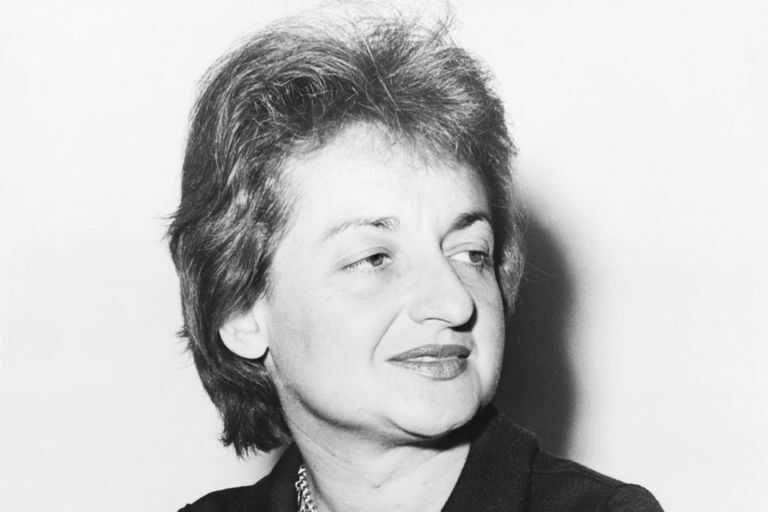 Betty Friedan drew back the curtain on society’s pursuit of the pervasive mystique. But exactly what did she expose? The feminine mystique is the false notion that a woman’s “role” in society is to be a wife, mother, and housewife - nothing else. The mystique is an artificial idea of femininity that says having a career and/or fulfilling one’s individual potential somehow go against women's pre-ordained role. The mystique is the constant barrage of homemaker-nurturer-mother images that esteem the virtue of keeping house and raising children as essential womanhood while criticizing the “masculinity” of women who want to do other things, whether along with or instead of the mystique-approved duties. Betty Friedan ably dissected the messages of women’s magazines and their emphasis on buying more household products, a self-fulfilling prophecy designed to keep women in the fabricated role. She also analyzed Freudian analysis and the ways women were blamed for their own unhappiness and lack of fulfillment. The prevailing narrative told them they simply weren’t living up to the mystique’s standards. The Feminine Mystique awakened many readers to the realization that the upper-middle-class-suburban-homemaker-mother image being spread across the land was a false idea that hurt women, families, and society. The mystique denied everyone the benefits of a world in which all people could work to their fullest potential. What Is the Problem That Has No Name?